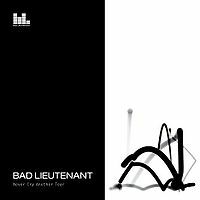 If you think the music sounds very reminiscent of a certain ‘80s British pop group, you’re not off the mark as Bad Lieutenant features former New Order members Bernard Sumner and Phil Cunningham. (The only thing missing here is Peter Hook’s signature bass playing). Along with Jake Evans, Sumner and Cunningham bring recognizable elements of their former group to Never Cry a Tear (i.e. “Sink or Swim,” “This Is Home”) but there is more emphasis on the guitar than electronic beats and programming. The result is something more organic and shimmery, especially on tracks like “Shine Like the Sun,” “Running Out of Luck” and “Head Into Tomorrow.” There is also that lyrical sense of detachment echoed by Sumner’s wistful singing that has marked New Order’s songs; however Bad Lieutenant stand on their own enough not to be a mere rehash but a new beginning.